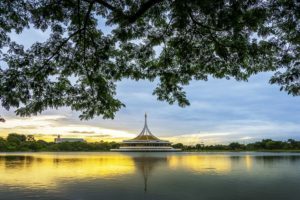 Thailand’s capital is a huge heaving cosmopolitan city that seems to never rest, but it is also home to an astounding number of parks and green spaces that offer a respite from the hustle and bustle. 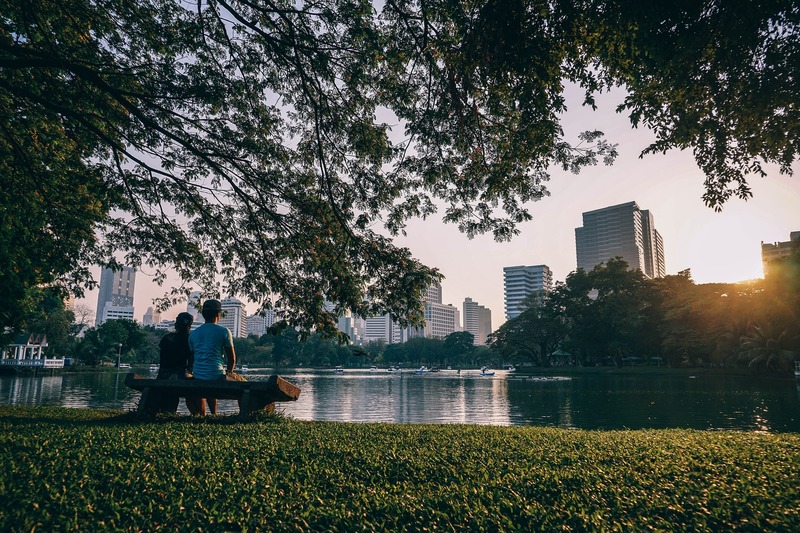 According to the latest count, there are as many as 32 parks spread across Bangkok, and the good news is that not only are new parks being created, but those in existence are being well maintained, nurtured and extended. These charming green sanctuaries offer locals and visitors a places to exercise, relax and recreate. 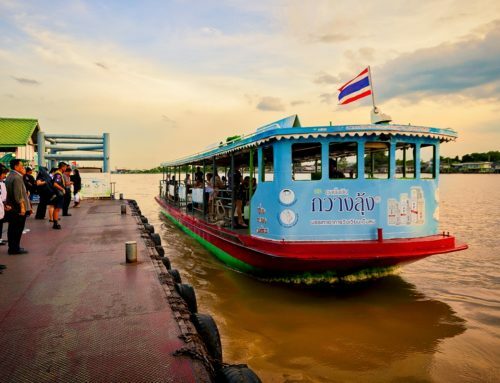 This is our guide to some of Bangkok’s most beautiful parks that we encourage you to visit. 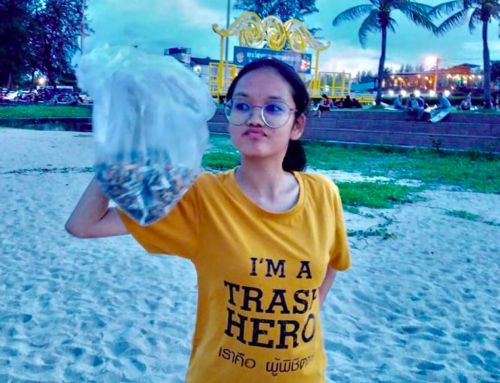 The biggest public park in Bangkok is King Rama IX Park, or Suan Luang Rama 9. Located in the Eastern suburbs of the Prawet district, it covers an area of almost 80 hectares that includes a large lake. The park is popular with runners who enjoy the 5km long track. There are pedal boats available for hire and plenty of space to relax with a picnic or good book. 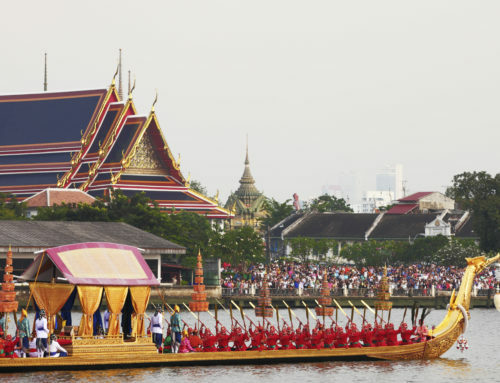 The famous Suan Luang Rama IX Flower Festival takes place here each December around the time of King Rama IX’s birthday. The most iconic image of the park is the Ratchamangkhala Pavilion which houses an exhibition about the late king, as well as a botanical garden well worth exploring. Like in many parks in Thailand, you’ll often find locals practising tai chi or partaking in group exercise classes. OPENING HOURS 5am to 7pm. Sri Nakhon Khuean Khan Park and Botanical Garden in the centre of Bangkok was established as a source of fresh air production and is popular for relaxing and exercising, as well as to learn about the ecosystem, plant species and animals that occur here. Considered an oasis for the city people who want to experience nature and the local way of life. 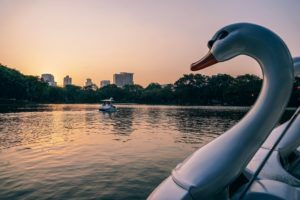 The park is known for the combination of beautifully landscaped public areas, as well as the aquatic plants and local plants that are able to grow in brackish water, as well as the original agricultural fruit garden that still thrives today. This park and botanical garden has been declared the “the lungs of Bangkok” by the government. There’s a wooden bridge for visitors to stroll over, loads of shady areas to retreat to and a 7 meters high tower from which to take in the views towards the city. Bicycles are available for rent and are the best way to get around. 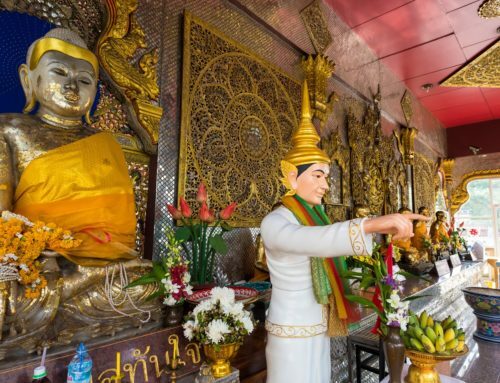 Located about 400 metres from the famous night market district of Patpong, Lumpini Park is the oldest of Bangkok’s open spaces and was opened in the 1920s by King Rama VI. It comprises of almost 60 hectares of parkland, inviting lakes and walkways. It is noted for its wildlife and flowers. cyclists seem to takeover, and you can affordably rent a bike and join them. The perfect place to relax, enjoy a picnic or exercise, there are plenty of quiet spots and shade in this park as well as organised activities such as fun runs. During the cooler season, there are free concerts here almost every Sunday evening. 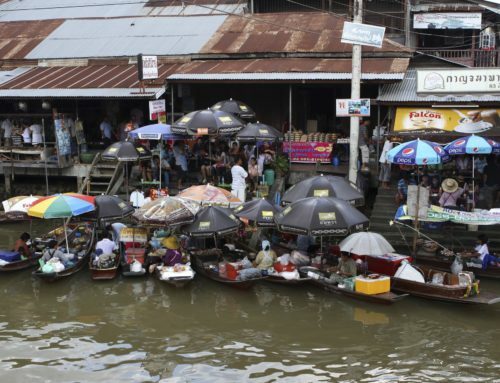 Chatuchak Park is one of the busiest parks in Bangkok and found near the weekend market by the same name. The Southern end can be crowded over weekends with people lounging on the lawns or heading out on the paddle boats. While the Northern end is mostly deserted except for runners taking advantage of the 3km track around the park. The park has a serene pond with fish and ducks, making it the perfect place to refresh the mind, body and soul. There are tennis courts, soccer fields and outdoor aerobic classes. Cycling is not allowed in this park. Wachirabenchatat Park is also known as Suan Rot Fai and was originally owned by the State Railway of Thailand. 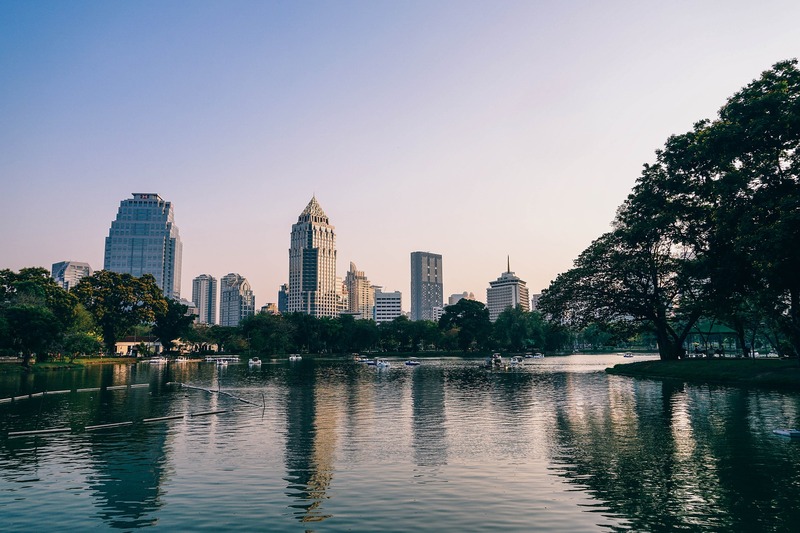 At 60 hectares it is one of the largest public parks in Bangkok, however if you take into account the links to Chatuchak and Queen Sirikit Parks the total area would be 116 hectares, making it by far the largest in Bangkok. Many runners treat this area as one big park by doing the “three park” run. This is an ideal escape for families wanting to rent bicycles for the day. There is also a butterfly garden to enjoy. 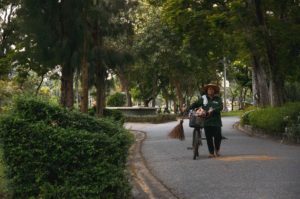 Benjakiti Park, is a stretch of green amongst Sukhumvit’s high rise hotels and office blocks and offers a haven for runners, cyclists and anyone in need of a quiet retreat. The park is dominated by a large lake with two separate lanes around the perimeter designed specifically to separate cycling and running, or walking. The area is pristinely landscaped with colourful flowers adding to the peacefulness. If you wish to keep in touch please complete the form.